HIGH GRADE: As we all know, marijuana gets a bad rap from Kingston to Kenya, but the Marley siblings have always sought to demonstrate how the controversial plant can be part of “a clean, green and healthy lifestyle.” On July 25, Cedella Marley will release her first cookbook, Cooking with Herb, a culinary reference and guide for readers of all backgrounds on the questions they should be asking about cannabis at dispensaries and other places. But the book also comes packed with more than 75 Caribbean-rooted and cannabis-boosted recipes! Did you know that the plant can be incorporated in everything from beauty scrubs to hair treatments and yoga meditation practices? 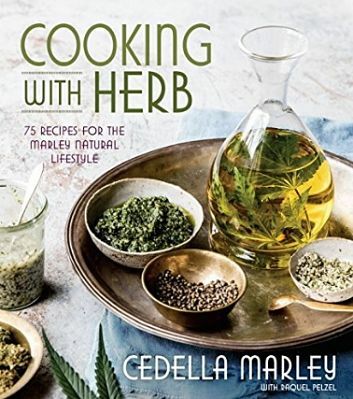 Co-authored with Racquel Pelzel, Cooking with Herb also shares important advice and practical tips for first-time users and marijuana devotees, while offering insights on today’s more potent weed, alongside some of the other cool elements that make up the Marley Natural Lifestyle brand. Order your copy of Cooking with Herb. HEALTHY & DELISH: In spite of the myriad challenges, food and beverage manufacturers Lasco are forging ahead with new products and expanding their markets and product lines. 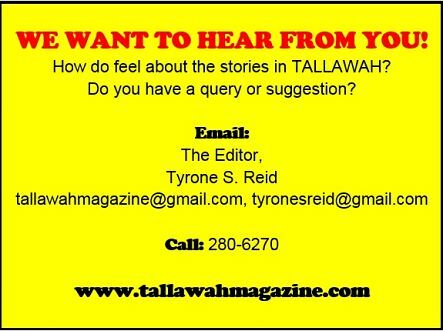 TALLAWAH readers were among the first to hear of their iDrade isotonic drink, created in response to “the phenomenal burst of athletes and new fitness enthusiasts” across the island and on the international scene. 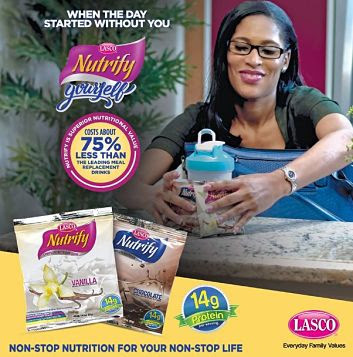 Designed especially for Jamaicans “who are constantly on the move, under great stress, and away from home,” Nutrify is a protein replacement drink that’s as tasty and creamy as it is refreshing and nutritious. Meanwhile, Lasco reports that their popular iCool drink is being exported to 15 countries (chiefly within the Caribbean) and this market is expected to grow to 25 countries by July 2017. Visit lascojamaica.com for more of their nutritious products. WORTHY CAUSE: It’s that time of year when preparations for the annual Food for the Poor 5K Walk/Run kick into high gear. Observing the theme “Changing Lives, Restoring Families and Hope,” the event has been scheduled for Saturday, May 13, commencing at 6am, at the Emancipation Park. 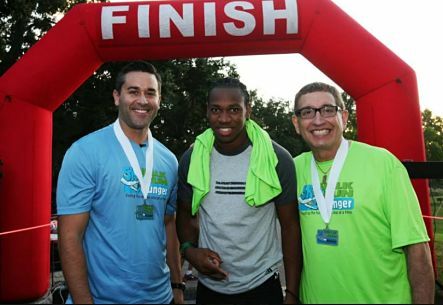 The run/walk, which raises much-needed funds each year to support Food For the Poor’s wide-ranging charitable outreach, is expected to draw hundreds of participants representing corporate entities, clubs and societies and fitness enthusiasts – all lacing up their sneakers in support of a good cause. For race information and registration details log on to foodfortehpoorja.org.